“From day one we knew we had made the right move! We’ve had the privilege of witnessing RE/MAX Aerospace Realty grow, and it’s still growing at the time of this testimonial. The reason for their growth is simple: they respect and value people! This comes from the top down. There are many reasons to work for RE/MAX Aerospace Realty. We work in an atmosphere alongside honest, hardworking, caring people, and that is just the beginning. We have come to appreciate the flexibility in defining personal business objectives and goals, as well as the support to accomplish them. We value the positive, encouraging office climate each day, and the genuine willingness of agents to work together. RE/MAX Aerospace Realty provides us with a platform that allows real estate agents to reach their fullest potential, and an atmosphere to explore and implement new ventures within our local real estate market. The biggest advantage we personally experienced was that the firm was interested in actively helping us succeed in our careers! This is truly a great company with great people. “We are at RE/MAX Aerospace Realty because of Barbara Zapotocky!” Barbara’s commitment to transparency, fiduciary responsibility, integrity, and her attention to detail stood out to us. Barbara’s leadership and forward thinking at RE/MAX Aerospace Realty has allowed Barbara to bring together a team of people that work well together as RE/MAX Aerospace Realty grows. Barbara is extremely helpful and prompt in returning calls and e-mails, whenever there is a question. 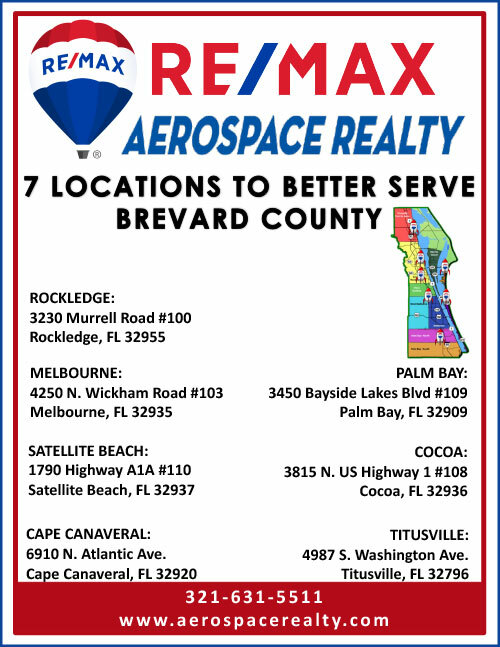 RE/MAX Aerospace Realty offers as much or as little support as you need and has a quick turnaround time on the issuance of commission. It is a pleasure to work with a company more interested in helping you build your business than asking you to help them build their business for them!